Despite Rice University being relatively small in size (less than 4,000 undergraduates and around 2,000 graduate students), we have a lot of theatre happening on campus – up to eight or nine shows a year! We’re very proud of all the shows that happen every year on campus, which vary in terms of style, time commitment, and level of student involvement. Basically, there are three categories that theatrical productions fall into at Rice: the Department of Visual and Dramatic Arts, “college theatre”, and the Rice Players. The Visual and Dramatic Arts Department’s 2016 production of Julius Caesar. Photo credit to Pim Lin. The Department of Visual and Dramatic Arts (VADA) hosts the theatre program at Rice University. Students wishing to study theatre often major in Visual and Dramatic Arts with a specialization in theatre, though all theatre classes are open to majors and non-majors alike. The VADA department produces two shows per year, one in the fall and one in the spring, and shares Hamman Hall with the Rice Players. VADA productions are directed by professors or lecturers are Rice University, or professionals from the Houston area are brought int to direct. Set design and costume design are usually handled in house by other members of the VADA department, and are often assisted by students. Additional theatre professionals may be brought in to handle other design elements, or students may be asked to take on some of the roles. 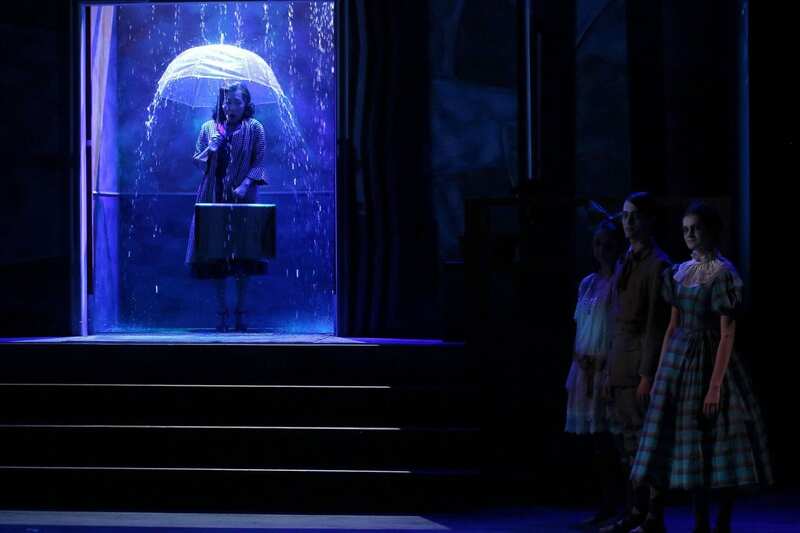 The Visual and Dramatic Arts Department’s 2016 production of Eurydice. Photo credit to Pim Lin. VADA shows have larger budgets and large time commitments, often requiring rehearsal Monday through Friday from 7 pm to 10 pm every week leading up to the opening of the show. Students involved in acting or technical roles can receive course credit. VADA productions are considered to be the most “professional” productions that students can be involved in on campus. 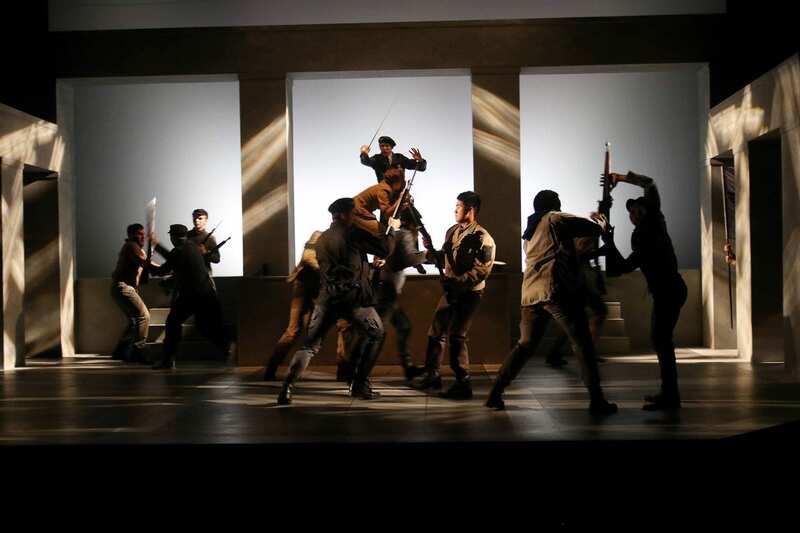 The VADA department is committed to producing high quality productions – whether that requires building a raining elevator onstage for Sarah Ruhl’s Eurydice, or teaching students stage combat techniques for William Shakespeare’s Julius Caesar. 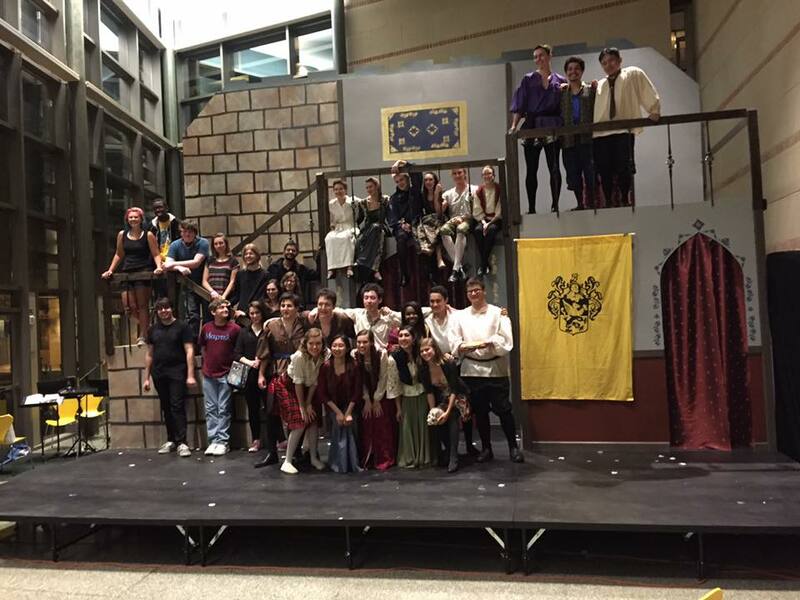 The cast of Wiess College’s 2016 production of Hello, Hamlet! On the other end of the spectrum is what is referred to as “college theatre”. The term “college theatre” is, as its name implies, theatre which is performed at a residential college, usually in the commons. If you are not familiar with the residential college system at Rice, you can read about it here. Each residential college has a large multi-purpose space called a commons, and each residential college has a yearly budget for activities and events, a portion of which can be set aside to put on a theatrical production. Different colleges have different opportunities and constraints, and some have theatrical traditions going back decades, so theatre performances can be vary wildly between residential colleges. For example, Wiess College, one of the four residential colleges on campus, has a long-standing tradition of putting on a student-written musical parody of William Shakespeare’s Hamlet every four years called Hello, Hamlet! Every four years, the show is produced and the script is updated with new songs and current pop culture references. Alumni of Wiess College often come back to campus just to see new productions of the musical, since each is slightly different. Similarly, Baker College has a long and storied tradition of putting on a Shakespeare show every spring in their commons. Altogether, college theatre encompass everything from musicals like The 25th Annual Putnam County Spelling Bee to more experimental shows like Too Much Light Makes the Baby Go Blind. 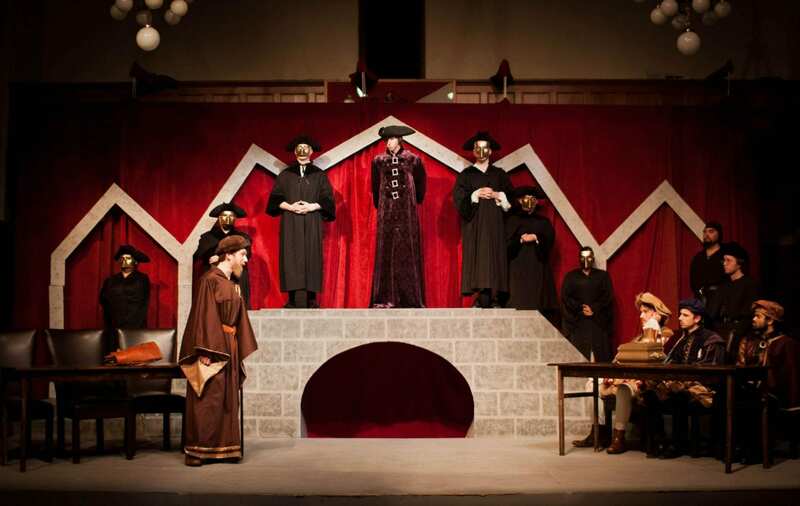 Baker College’s 2013 production of The Merchant of Venice. Photo credited to Derrick H. Huang. What sets college theatre apart from the other two categories of theatre is that the productions often have low budgets, provide lots of opportunities for students that have never acted before, and are usually entirely student-run! Students wishing to gain experience with directing, stage managing, or any other technical role will find plenty of opportunities with college theatre. Rehearsals are very flexible, and some shows only come together at the last minute. Because of this, college theatre productions are considered to be the least “professional” category of shows at Rice. What “college theatre” lacks in budget and professionalism it makes up for in the relationships forged between the cast, crew, and director. Even though productions are usually associated with one or two of the residential colleges, you can participate in any college theatre production regardless of the residential college in which you reside. Additionally, if there is a play or musical you wish to put on, you can petition your residential college’s governing body for the funds to make your idea a reality! 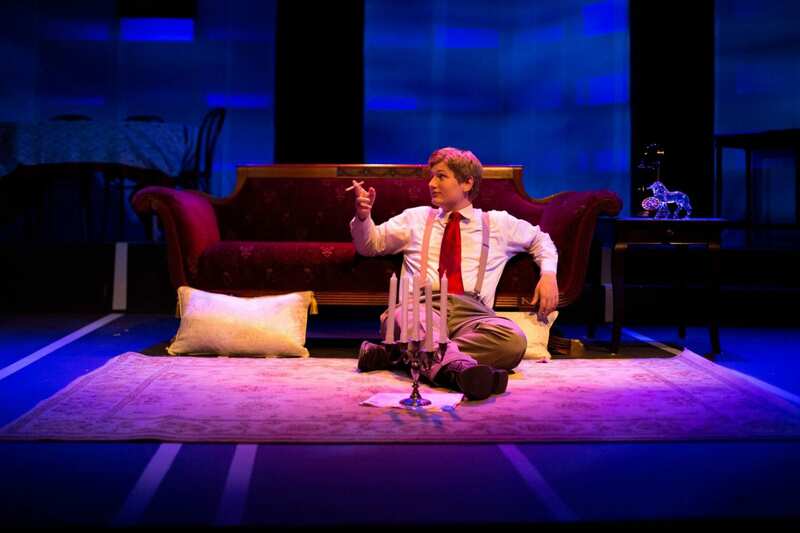 The Rice Players’ 2016 production of The Glass Menagerie. Photo credited to Peter Ton. 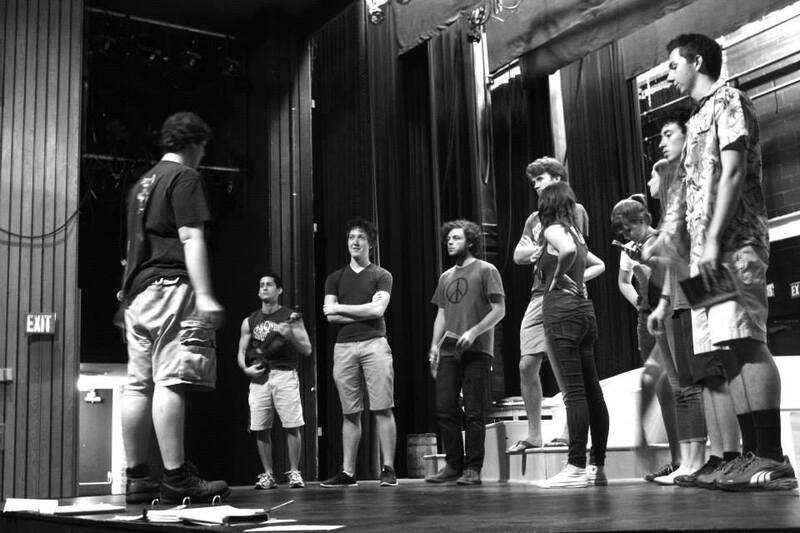 Last but certainly not least, the Rice Players are the oldest collegiate theatre troupe in Houston. Founded in 1951, Rice Players focuses on bringing together students from all across campus (with some assistance from the Visual and Dramatic Arts Department faculty, particularly our advisor Mark Krouskop) to put on shows in Hamman Hall. The goal of the Rice Players is to bridge the gap between the VADA department and “college theatre”. While the Rice Players strive for professionalism and producing two quality productions per year, we also strive to be as entirely student-run as possible. While we often hire professional directors for our productions and supplement design areas with professionals when necessary, new efforts to get more students involved, including the launch of an annual playwriting competition, the showcase of student-written works, and search for student directors on campus, mean that we’re constantly innovating and finding new ways to get more and more students involved in every aspect of our productions. Rehearsal for the Rice Players’ 2014 production of Paganini by Don Nigro. The Rice Players also utilize the stage and equipment at Hamman Hall, and our sizable budget allows us to invest and spend more than most “college theatre” productions might be able to afford. Additionally, our rehearsal schedules are often more flexible than the Visual and Dramatic Art Department’s. You can learn more about our current and past productions here. 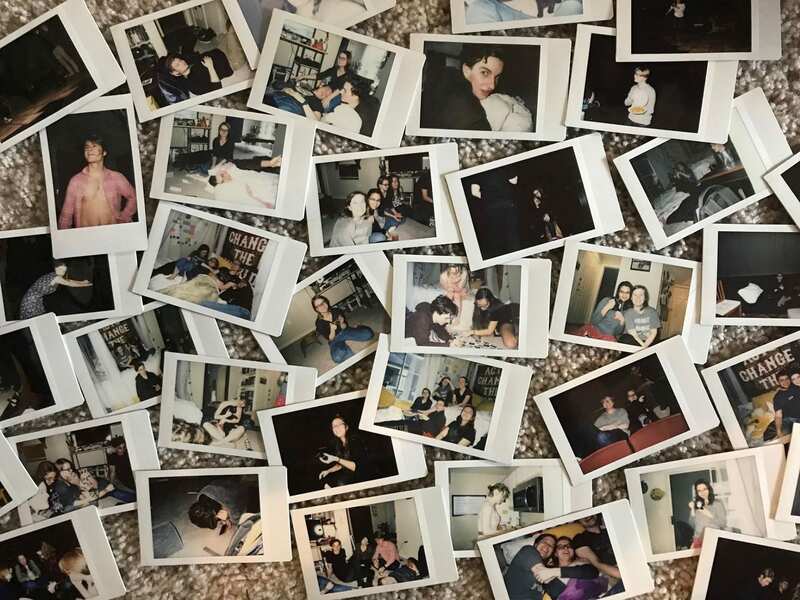 In addition to producing two productions per year, we also put on several smaller events, ranging from fun get-togethers to traditions like Play in a Day, our popular 24-hour play festival that occurs at the beginning of each semester. All of these events and productions are organized by a team of students serving as coordinators. Theatre at Rice is everywhere, and if you have any questions about the Players, “college theatre”, the VADA department, or anything else related to theatre, please fell free to contact the Rice Players at riceplayers@gmail.com.